UCD reseachers will follow 4,300 children through primary school in Ireland. The focus is on the persaonal experiences of each child. The study will feed into the development of the national curriculum. Researchers from University College Dublin will follow 4,300 children through primary school in Ireland to gauge how it shapes their young lives. The study, ‘Children’s School Lives’, will track the children for six years, and aims to present an intimate portrait of school and community life in Ireland that can feed into national policy on the development of curriculum for early childhood, primary and post-primary education. Funded by the National Council for Curriculum and Assessment (NCCA), the landmark research is the first systematic attempt to track the same group of children from pre-school and primary into secondary school. 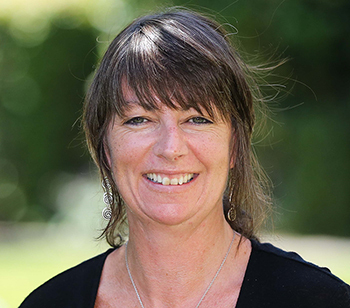 Led by Professor Dympna Devine, UCD Head of Education, and a team of researchers at the UCD School of Education, the investigation will examine themes such as relationships, inclusion, school culture, religion, curriculum, ethnicity and emotional wellbeing. “Primary schools in Ireland have always been central to the vitality of local communities, the focal point for marrying the love and care for children with national goals for economic and social development,” said Professor Devine. “This study takes a holistic view of children’s learning and development, exploring how their experience of school contributes not only to their academic attainment, but also their self-confidence, and capacities to thrive,” she added. Approximately 4,300 children from 200 primary schools will be involved in the quantitative aspect of the study. Nested within this, children in 14 case study primary schools will be involved in a more in-depth investigation. The study will focus on two cohorts of children, with one group in their last year of preschool in 2018/2019 followed annually until they finish 2nd class. The second group, taken from children in 2nd class in 2018/2019, will be followed annually until they finish their first year in post-primary school. Overseeing the study will be Dr Jennifer Symonds, Dr Deirdre McGillicuddy and Dr Seaneen Sloan, from the UCD School of Education.